Listed building. Probably 16th. century through passage with open heath. 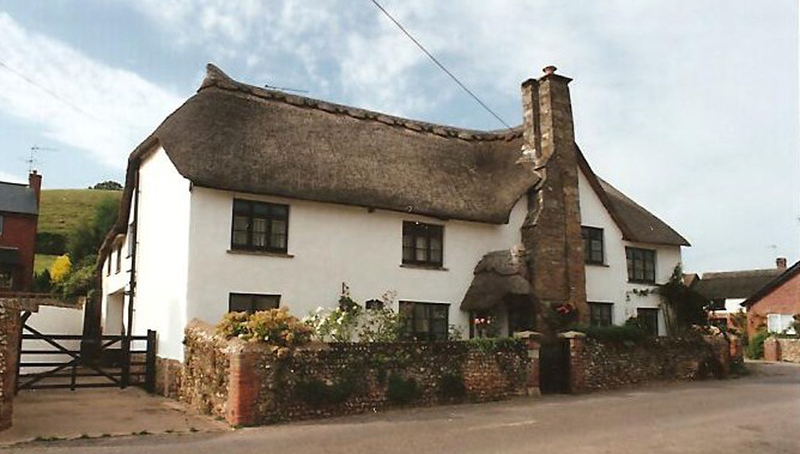 Built of cob and stone footings, thatched. Refurbished 1623 with carpenters date mark on a beam. Lateral stacks built front and rear. 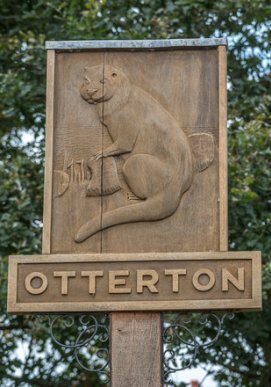 The Elliott family had been in Otterton from 1613 and probably made the alterations. 1691 Andrew Elliott was a Churchwarden. The family were farming there to 1770. In 1774 the farm was known as Robert Bartletts Estate and he and Jacob Skinner held Elliotts Farm lease (No.87) Skinner with the farm and Bartlett with the adjoining orchard (1 rood). By 1781 Jacob Skinner was sole leaseholder and his family held it to 1868. 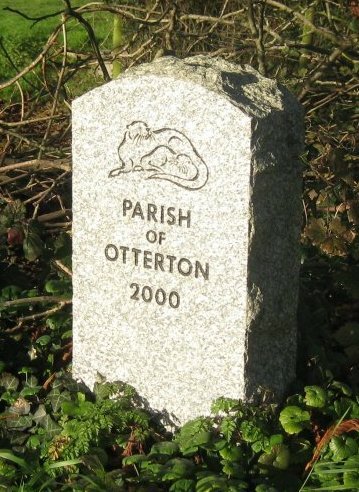 In 1786 Denis Rolle had bought the Otterton and East Budleigh Estates from the Duke Family and the Rolles began a policy of enlargement of farms. To gain tighter control of agricultural production on the Estate, calling in the 99 year Leases with lives on farms was necessary and grouping the many small holdings into larger units. In 1779 Elliotts holding was only 14 acres of land and it was on a Lease. It was decided to increase the acreage of “Elliotts” Farm and by the 1843/6 Tithe Award its acreage had increased to 116.5 acres being 7 leases now on 14 year Rack Rents. This included No.87 Elliotts, messuage & tenement together with 4 other small holdings. It is of interest that 2 of these holdings had been held by Revd, Samuel Leatt living at Housterns Farm in Fore Street, Otterton. (See separate piece on Housterns Farm). Jacob Skinner died in 1815 and his son Isaac succeeded him followed by his grandson John born in 1819. By 1861 John was employing 7 men and 5 servants. He and his wife Frances had 3 sons and 6 daughters and his father Isaac was living with them. He died the following year age 86. The farm was now 160 acres. Following the 1861 Survey the Estate started reorganising farms it had enlarged. In 1867 they took the fields at Ladram of Elliotts and Anchoring Farms and grouped them to form a new compact farm of 166 acres on an annual renewable tenancy. John Skinner was given the tenancy and the farm was known as “Skinners, Larderham”. ( It was renamed Sea View Farm in 1876). The remaining fields of Elliotts were granted to Anchoring Farm to increase it to 173 acres. This was farmed by Jacob Skinner, John’s Brother. Elliotts Farmhouse (The Barn) was granted to the Gosling family, Otterton Blacksmiths. They had been smiths in the village at least since the 1840’s. 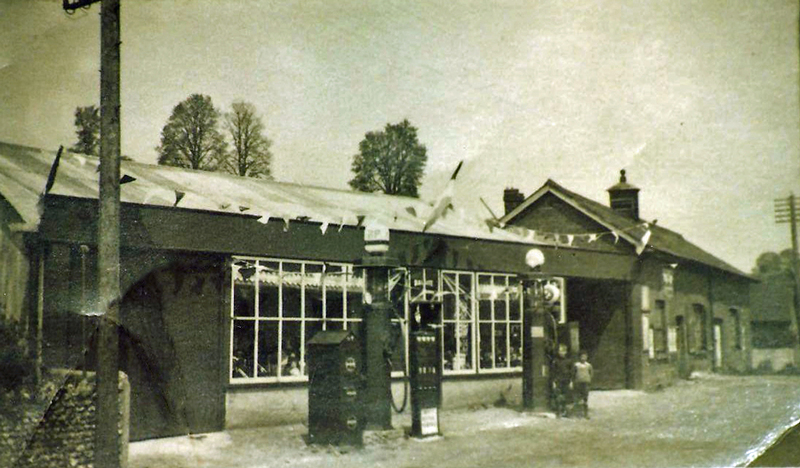 1936 Carters Garage, old Gosling Smithy Crosstrees right. Their smithy was a large barn with a cottage at the junction of Ottery Street and Fore Street (Crosstrees). By 1902 John Gosling is described as agricultural implement maker, blacksmith and farmer. The smithy is believed to have closed in the late 1920’s. Thomas Gosling was farming Weeks farm, Pinn in 1926. Members of the family probably still lived at “Elliotts”. (It was not called The Barn until 1956- Mr.A.C.Ellis tenant. Footnote:- After the Skinner family had moved to the new Sea View Farm, in January 1872 Robert Lipscombe, Rolle Estate Land Agent is writing to John Skinner “I have heard your have let ½ Sea View Farmhouse and crowding your (large) family into the other half.......Mr.Rolle will be visiting you shortly”.